Explore the topic of honesty for kids with the Family Dinner Book Club. Valuing honesty and integrity is one of the greatest gifts we can give to our children. Children are naturally as honest as can be when they are little, and as they grow and become subject to peer pressure sometimes being honest becomes harder. That's why it's so important to not only model honesty for our kids, but to show them the value of being honest themselves. This month our Family Dinner Book Club is exploring honesty, and I have fun printables and activities to help your family learn about this important topic together. Every month, our Family Dinner Book Club encourages you to join together to explore important character traits. We give you a themed book list and full menu along with activities and service projects for the entire family. This month's topic is honesty, and our featured book is The Empty Pot by Demi. The Empty Pot is a lovely story about a boy named Ping who loves flowers. When the emperor was ready to choose an heir, he gave each child in the kingdom a flower seed. Ping's seed refused to grow, but when he chooses honesty he finds it has its own great reward. 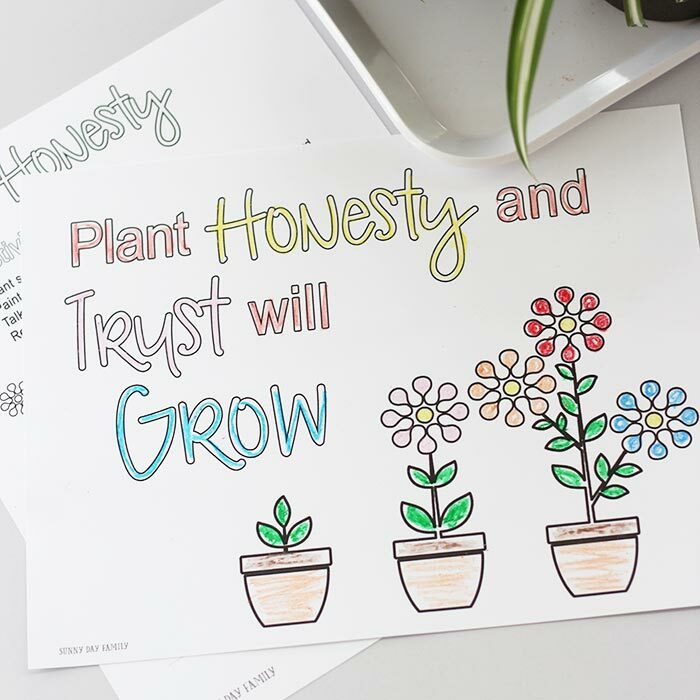 Our printables and activities this month are inspired by the idea that when you plant honesty in your life, trust will grow. This is true for all of us, and is as important to remember for parents and kids. 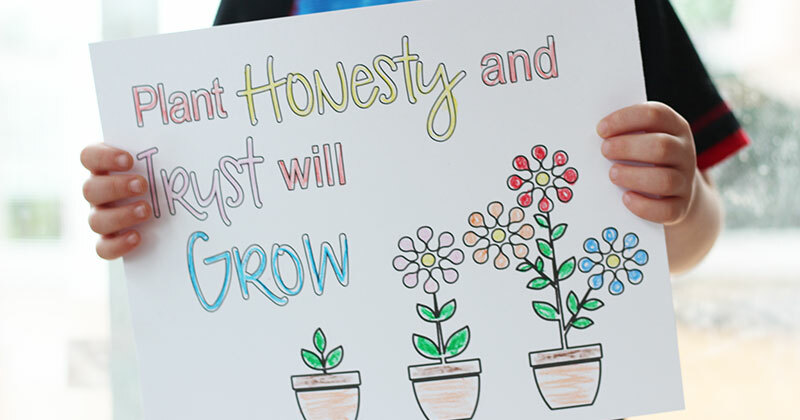 Inspired by The Empty Pot, I created this month's activities and printables around the theme of planting honesty. Everyone has heard the expression that you reap what you sow, and when you sow the seeds of honesty, trust will grow. I have 2 printables to help you start this conversation with your kids. 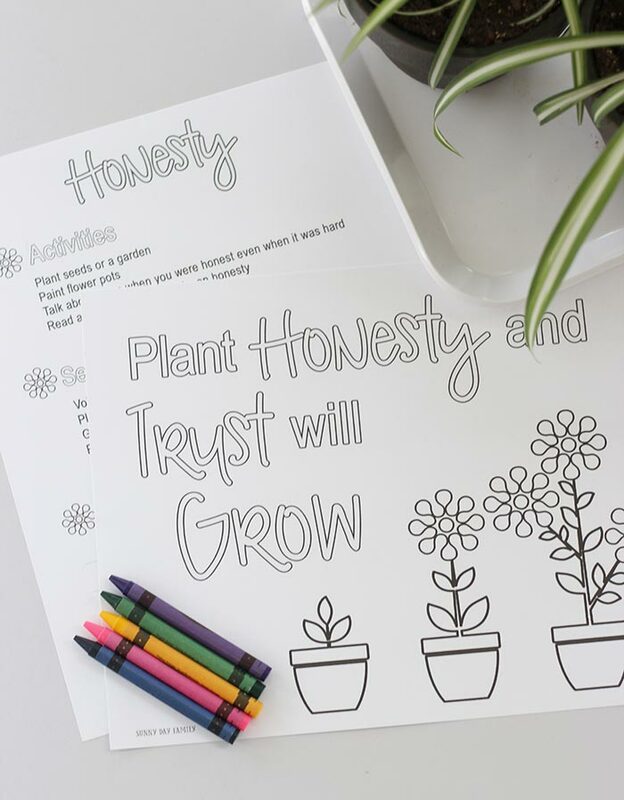 The first is a fun coloring page with 3 flowering plants and the words, "plant honesty and trust will grow." This page is fun to color and hang up in your home, or to use as placemats for your Family Dinner Book Club meal. 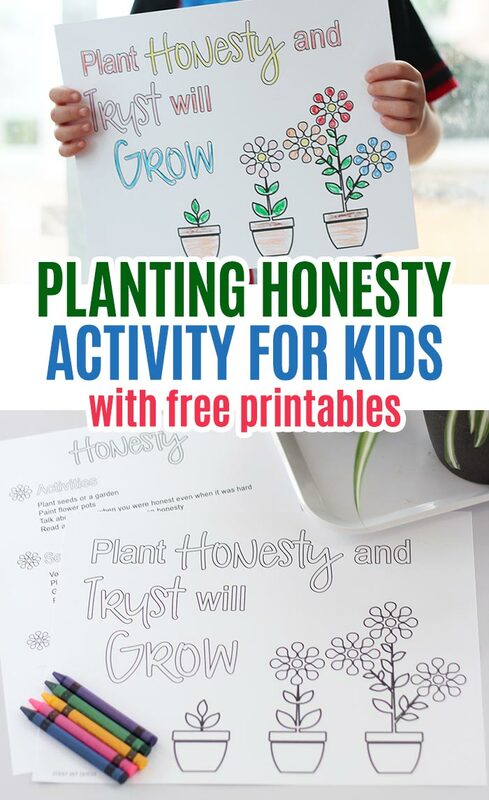 The second page is a list of activities and service projects centered around the theme of planting honesty for your family to try. You can get them both by clicking on the button below. 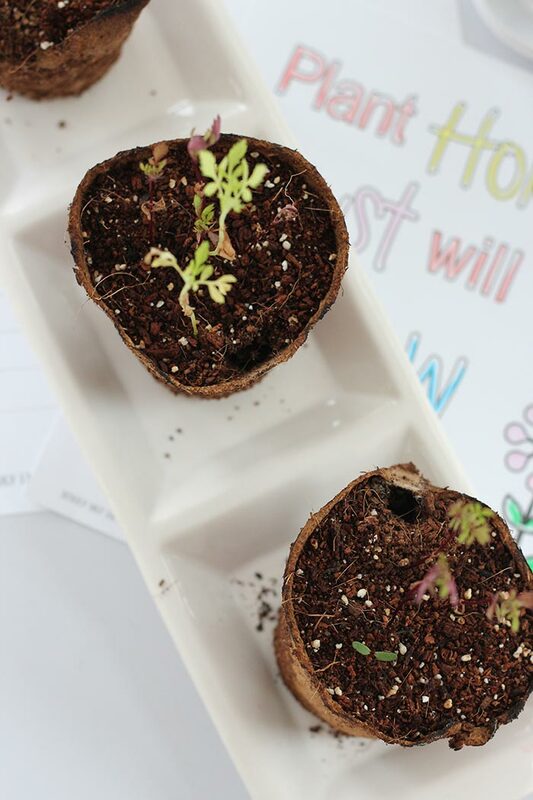 Included in the list of activities is to plant your own seedlings. This is a wonderful idea for this time of year, and gives your family a reminder of this lesson that will live on. Click here for more fun garden ideas for kids. Don't forget to head to Growing Book by Book for an honesty themed book list and conversation starters, then to Chef Sarah Elizabeth for a themed dinner menu and tablescape. I love this printable that you can then hang as a great reminder. Great idea!